A new liquid alternative offering is being premiered by Driehaus Capital Management [profile]. The Driehaus Event Driven Fund (DEVDX) aims for low correlations to major classes and sports risk-adjusted returns. Managing the new fund is K.C Nelson who currently leads the Driehaus long/short credit team. Nelson says that event-driven trades "create opportunities for positive asymmetric returns with low correlations to the equity and credit markets." Rob Gordon, President and CEO of Driehaus adds that by combining "the credit, equity and derivatives resources across [the firm, it can] identify opportunities globally to source mispricings in long, short and arbitrage trades based on hard catalysts, such as product launches, earnings releases, restructurings, and corporate actions." CHICAGO, Aug. 29, 2013: Driehaus Capital Management announces the launch of the Driehaus Event Driven Fund (Ticker: DEVDX) as of August 26, 2013. 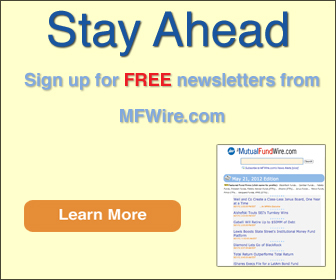 A new liquid alternative offering, the mutual fund seeks low correlations to major asset classes while providing lower volatility than the S&P 500 Index with superior risk-adjusted returns. The fund will be managed by K.C. 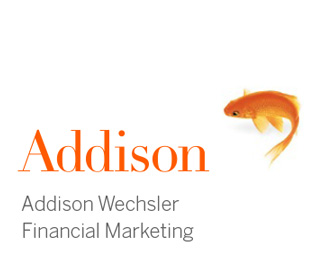 Nelson, who leads the Driehaus Long/Short Credit Team. Mr. Nelson and his team currently manage distinct event-driven trading strategies in their long/short credit funds. According to Mr. Nelson, "We have found that event-driven trades often exist because of the complexity of the capital structure, the nontraditional nature of the investment opportunities, or the unwillingness of investors to participate in trades with binary outcomes. We believe this creates opportunities for positive asymmetric returns with low correlations to the equity and credit markets." Trades within the Driehaus Event Driven Fund will have a defined catalyst that will unlock the value of the trade in the near to intermediate term. "By combining the credit, equity and derivatives resources across our firm, we'll identify opportunities globally to source mispricings in long, short and arbitrage trades based on hard catalysts, such as product launches, earnings releases, restructurings, and corporate actions," said Mr. Nelson. While the event-driven space has been a significant segment of the alternatives universe for more than two decades, relatively few liquid alternative event-driven funds are available to investors. "We believe investors will appreciate access to a liquid and transparent vehicle for a strategy that offers a differentiated market exposure," said Rob Gordon, President and CEO of Driehaus. "We also expect investors to take comfort knowing that the fund is offered by a firm that has proven itself in the liquid alternative space and is managed by a team with significant experience with event-driven trades." As of August 21, 2013, Driehaus had $4.6 billion in assets under management in absolute return mutual funds. Please visit www.driehaus.com/DEVDX.php for complete fund details and investment information. For information about investing in Driehaus funds, please contact (888) 636-8835.